This popular party is held once every five years during the month of August. My photographs were taken when the events were held in Madawaska, Maine and when we visited Grand Pre, Nova Scotia. My husband and I attended the Acadian festival held in Madawaska, Quebec and New Brunswick Canada. We attended a reception held at the Fraser Mansion in Madawaska. Congrès mondial acadien (CMA) is a perfect opportunity to immerse in the Acadian history and culture, while enjoying a visit to the beautiful Canadian Maritime provinces. This year, there are twenty locations to explore in New Brunswick and Prince Edward Island during the festivities planned in August 2019, during the Congrès mondial acadien. The CMA goal is to strengthen the ties that unit all Acadian communities throughout the world, all while showcasing a modern and authentic Acadian culture and identity. The Congrès is also an opportunity to welcome all those who are interested in l’Acadie and love its culture. Family reunions are a major part of the CMA, as they have been since the first one. As of April 11th, 36 families registered for the events and several more are expected. When my husband and I visited the CMA held in Madawaska and New Brunswick, a few years ago, we were impressed by the numbers of people who participated. Two events we particularly remembered were the joyous tintamarre, which is essentially a fun filled noise parade. Of course, the celebration of Acadia Day with a Mass celebrated on the Feast of the Assumption, is the memorial to Le Grand Dérangement , the 1755 deportation of the Acadians, who were brutally forced out of Nova Scotia. Our Lady of the Assumption is the patron saint of the Acadian people. A cultural exhibit we visited at the Saint David’s Church, when we attended the CMA in Madawaska. Marc Poirier is the CMA 2019, director of marketing and communications. I was delighted with the well organized information he sent, after we spoke about the schedule. Check the website CMA 2019 here for details about the schedule and practical information, including links for some lodging locations. This year’s Congrès will be the sixth and will mark the 25th anniversary of the first Congrès in 1994 that was held in southeastern New Brunswick. The other Congrès were held in 1999 (Louisiana), 2004 (Nova Scotia), 2009 (Acadian Peninsula) and 2014 (Madawaka, New Brunswick – northern Maine – an Témiscouata region in Québec, near the border of New Brunswick). The Congrès take place every 5 years. The location of the 2024 edition will be announced by the Société nationale de l’Acadie, in June of this year. 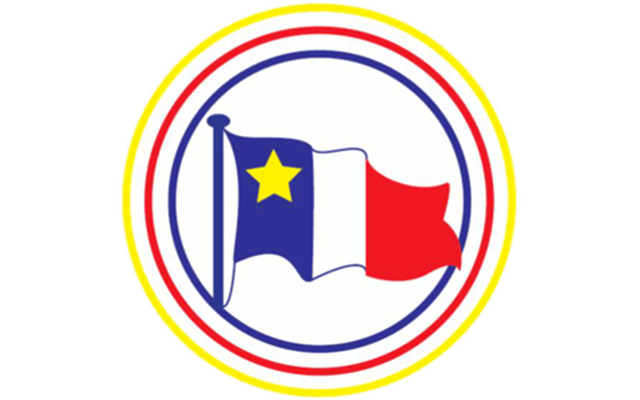 The Société nationale de l’Acadie is the group that supervises the selection of the location of each Congrès and sets the main guidelines of the organization of the event. CMA 2019 will be the first to be held in Prince Edward Island and it will be the second time for southeastern New Brunswick. The framework of the Congrès are in the 20 host municipalities. There are 12 in New Brunswick: Saint-Louis-de-Kent, Rogersville, Richibucto, Bouctouche, Cocagne, Shediac, Cap-Pelé, Beaubassin-Est, Saint-Antoine, Dieppe, Moncton and Memramcook. Eight host municipalities are in Prince Edward Island (PEI): Souris, Charlottetown, North Rustico, Miscouche, Summerside, Wellington, Abram-Village and Tignish. Each of the host municipalities have one day designated as their special day of activities, that they organize. Since the Congrès lasts for 15 days and there are 20 host municipalities, some will share the same days. The highlight of the Congrès will be the opening day, August 10th, in Abram-Village PEI, the 135th anniversary of the adoption of the Acadian flag and anthem on the 14th, in Miscouche PEI, the national Acadia day on the 15th, and closing day in Shediac New Brunswick, on the 24th. One major part of the Congrès will be held in downtown Moncton New Brunswick, at the Extrême frontière space, from August 16 to 23, along the Riverfront Park and Downing Street. This area will be open to pedestrians only for the duration of Extrême frontière. It will have an outdoor urban festival feeling with booths and pavilions, where art, genealogy, street artists, food, and all kinds of experiences will be offered. Each night, the action will move to the big stage nearby, for diverse shows. On August 16th, will be the special 25th anniversary show, that will highlight artists that performed in the first Congrès in 1994, like the legendary Acadian group 1755, famous Cajun signer Zachary Richard and artists that played in other editions of the Congrès. 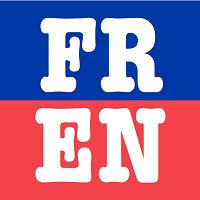 Extrême frontière will showcase more than 50 artists and musicians. The name Extrême frontière comes from a novel from the late famous Acadian poet Gérald LeBlanc, who made Moncton his home. Other components of the Congrès will be a three-day popular conference called Grand parle-ouère (the big talk) where topics concerning modern Acadie chosen by the participants will be discussed. There will also be an Economic Forum, a Youth Event, a Women’s Summit, a senior event and a First Nation component that are not yet defined. The events are expected to attract participants from Canada, New England, Louisiana, and many other US states and internationally, of which several tens of thousands will be attracted to the family reunions.